Service blueprinting helps you see the experience a customer has with your service from a holistic viewpoint. It gives you not just the end-to-end view of the experience, but also exposes the “backstage, behind-the-scenes” work that shows you not just how the experience is designed, but more importantly how it was delivered. The real end-to-end, surface-to-core view of how your business is delivering how it acts in service. This guide introduces our practical approach to this powerful method. We hope that this is helpful for you as you grow service design capability in yourself and your organization. We welcome you to continue the conversation with us to let us know how it went, or if you have questions we haven't yet covered. Get the free Practical Blueprinting Guide (and the NEW Blueprinting Facilitator Guide) right now! Check out everything we're teaching and talking about and stay in touch for more updates, tools, and methods. Enter your email to be sent a link to download right away! Our complete class in facilitating your first service blueprinting session. In this class, you will learn what it takes to organize and run a service blueprinting workshop, synthesize the output and generate actionable work for your organization, and grow your service design skills as a trained service blueprinting facilitator! 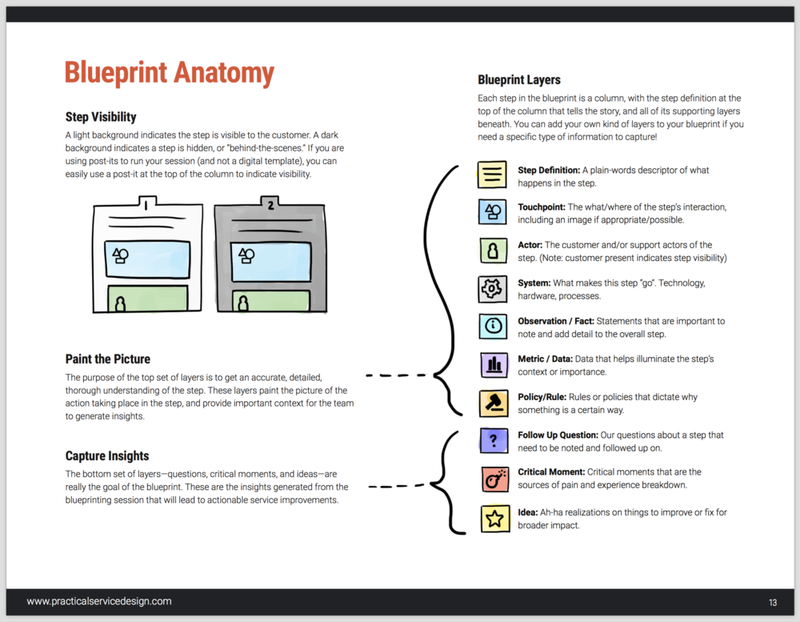 In addition to the blueprinting guide, once you're ready to run a Practical Blueprinting session of your own, you can use this facilitator guide to help you set up, organize, and get your group working together to create this powerful document. 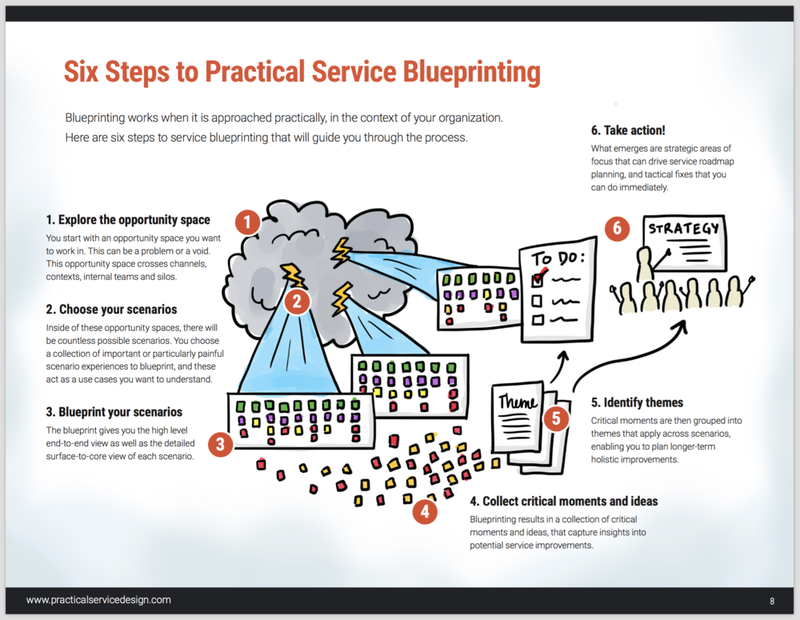 This guide is a companion to our Guide to Practical Service Blueprinting. it gives you a detailed set of steps you can use to facilitate blueprinting sessions, and will go over how to prepare for and run the session. Get both guides at the same time when you subscribe.